Heritage Ranch encompasses approximately 9,150 total acres with 2,092 single-family residential lots presently developed and 5,100 acres of dedicated open space. Open space consists of the many amenities along with undeveloped common area which is kept in a natural state consisting primarily of native grasses and oak trees. 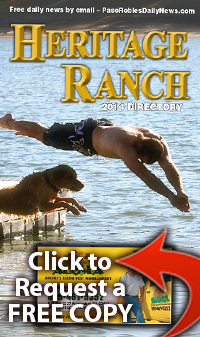 Heritage Ranch is located in San Luis Obispo County, California along the southern shoreline of Nacmiento Lake. Nacimiento Lake’s elevation at full capacity is 800 feet with 5,400 surface acres of water and a 16 mile pool length. Heritage Ranch is a master planned community and is managed through a homeowners’ association, the Heritage Ranch Owners’ Association (HROA) which was incorporated in 1972. There are presently sixteen (16) separate tracts developed with a total build-out projected at 2,900 private lots. HERITAGE RANCH’S MISSION STATEMENT OUR PLEDGE TO YOUTo protect and enhance the value of properties within the area known as Heritage Ranch.To provide for the management, maintenance, and preservation of the common areas owned in common by the OWNERS.To own, operate and maintain on said common areas, or any part thereof, facilities for the exclusive pleasure and recreation of its MEMBERS. To oversee that all vacant and unimproved lots are kept in good order and to prevent them from becoming a nuisance, detriment or fire threat to the community. To follow all laws governing Heritage Ranch and enforce all applicable provisions of the GOVERNING DOCUMENTS relating to the control, management, and use of the lots, common areas and common facilities and the roads within the properties. To bring and defend actions on behalf of the OWNERS in common or the ASSOCIATION to protect the interests of the OWNERS or the ASSOCIATION pertinent to the operations of the ASSOCIATION. To foster peace and harmony, and to provide for the equal treatment of others. To be a good steward of the land and its resources. Why do the decals expire on April 30th each year instead of December 31st? Decals expire on April 30th each year due to two reasons: 1) the weather and 2) number of vehicles and vessels. The Association actually begins applying new decals on approximately January 1st each year, weather permitting. (The weather needs to be 50 degrees and rising.) Appointments can be made for an attendant to apply the decals at your residence or at the RV/Boat Storage Lot through the Gatehouse at 805-227-6560. Since there are thousands of vehicles and vessels which must be updated each year this process takes several months to complete. Why is there one trash rate, and why is the trash payment mandatory? Trash pick-up is administered through the Community Services District (CSD) (excepting Tracts 447, 466 and 720). The CSD determines the rates and options available, and is under contract with San Miguel Garbage to perform those services. San Miguel Garbage can be reached at 805-467-9283. The Heritage Ranch Owners’ Association (HROA) Board of Directors passed a resolution in 1999 to require all those property owner lots which have a water meter to take (a form of) mandatory trash service through the CSD. (See HROA Mandatory Trash Resolution) Tract 447 is for part-time living only (RVs) and HROA provides a dumpster site for which the owners of Tract #447 pay a separate trash assessment directly to HROA. Tract 466 and 720 are both condominium tracts which are managed by Condominium Associations who provide a dumpster site on their property and collect appropriate fees. The CSD can be reached at 805-227-6230. Why do some people have private boat docks along the HROA shoreline? The HROA Board of Directors passed a resolution in 1998 to grandfather in the 62 existing private docks that had been registered through Monterey County at that time and ban any future private docks. These private docks cannot be sold or transferred except to an immediate family member who takes posession of the property to which the dock is registered. Currently, there are 31 legal docks remaining. The Condo Associations also has docks up Snake Creek which are separate from HROA. (See Private Boat DockPolicy) The goal is to phase out all private docks over a period of time. The existing private dock owners must register with both HROA and Monterey County each year, pay a fee and provide appropriate insurance. They must also keep their private docks in good repair. What are red tags and how are they used? A red tag is only needed during the “off season” (excepting Tracts 424, 446, 474, 1910 and 1990 — see below). A red tag allows you to temporarily park your camper, vessel/trailer or recreational vehicle unit in your driveway overnight. During the “boating season”, which runs from the Friday before Memorial Day through Labor Day, you can park or store your camper, vessel/trailer or recreational vehicle unit in your driveway without needing a red tag. Each red tag is good for 24 hours and you are allowed a maximum of 30 total in a calendar year. Contact the Gatehouse at 805-227-6560 to register for a red tag. Tracts 424, 446 and 474: NO RED TAGS REQUIRED — As of May 1, 2006 Tracts 424, 446 and 474 have amended their CC&Rs to allow for parking of campers, vessels/trailers and recreational vehicle units on a lot in the front set-back on a driveway without the need for screening year-round. Tracts 1910 and 1990: RED TAGS NOT ALLOWED — Tract 1910 and 1990 CC&Rs allow owners in those tracts to park their camper, vessel/trailer or recreational vehicle unit in their driveways year-round (for up to 72 hours without moving), but they cannot store their camper, vessel/trailer or recreational vehicle unit in their driveways. After 72 hours without moving, any camper, vessel/trailer or recreational vehicle must be stored away from view in a garage-type enclosure (excepting trailers). When are the pools opened? Presently, the small pool at Equestrian Park is usually opened around May 1st each year and the large pool at Heritage Park is usually opened a few weeks later. Both pools are usually closed shortly after Labor Day weekend. This is usually determined by the weather each year. The pool temperatures are checked on a regular basis. As long as they maintain a minimum of 72 degrees, we schedule a longer swimming season. What are the office hours at the HROA? The HROA is open Monday through Friday 7:30 a.m. until 4:30 p.m. The office is also open from 9AM to 12PM on the 3rd Saturday of every month. Please contact HROA at 805-238-9641 if you need assistance. When are assessments due to HROA? We do not send out reminder payment cards. Coupon booksare mailed each year in June for July thru April payments. Assessments are to be paid quarterly and aredue: January 1st, April 1st, July 1st and October 1st. They are considered delinquent if not paid by the 15th for which a $10.00 later charge is assessed. Where did the names for our three (3) parks come from? Each of our three (3) parks are named for the streets they are located on: Equestrian Park is on Equestrian Road; Gateway Park is on Gateway Drive; and Heritage Park is on Heritage Road. What is the mowing schedule for HROA Maintenance? Mowing under normal circumstances begins around April 1st each year, when we are satisfied the growth-cycle has stopped or slowed. We want to encourage native species to reproduce so the seed-head is important to see. This allows us to stay away from thistle forming. This is a big job and time-sensitive. When we have a particularly wet Spring, we start mowing when the ground is dry enough to try to catch up. On June 1st, the Fire Department cuts us back and we stop mowing at 10:00 a.m. (or “mow at our own risk”). Typically, two mowings occur each year. Tell me how I have input on the speed bumps on my street? Speed bumps, like them or hate them, you decide. The speed bumps around the Ranch are handled by vote of a majority of those property owners that travel over them. In other words, if you want one out, 50% + 1 must agree. If you want one added, 50% + 1 must agree. The Association Office can give you the names of those you need to solicit and if you are successful in your endeavor they are scheduled to be put in or removed when your road is being overlaid or when it receives major road repair work. What are the restrictions regarding dogs at the Marina? Dogs must be leashed at all times while in the Marina except while in the water. Proper pooper scooper rules apply at all times.